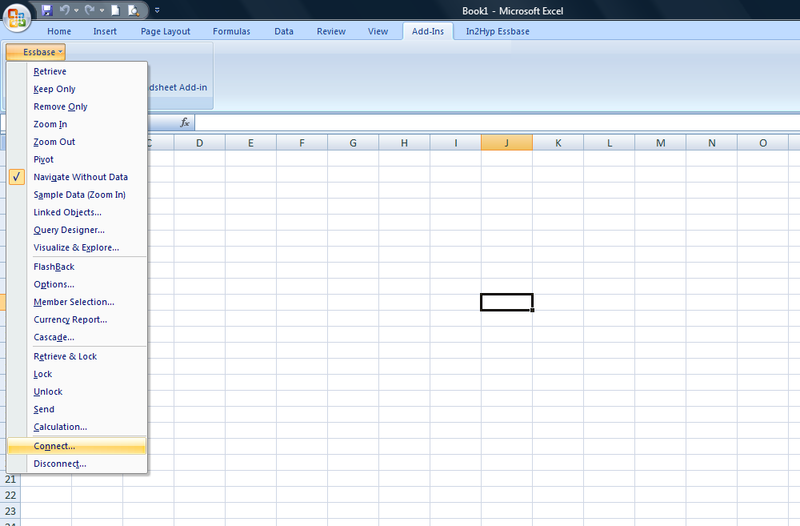 If you are using Excel 2007 with Excel Add in then this is going to be the best add-in that you can have. 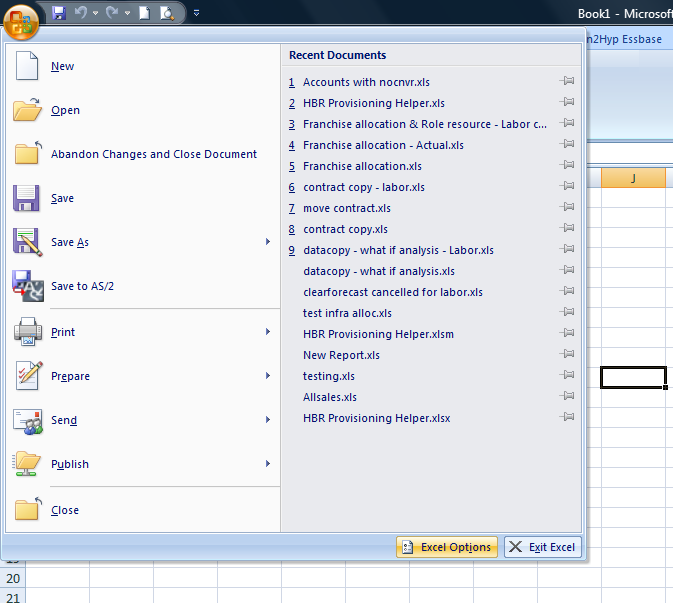 In 2007 you’ll notice that you don’t have Excel add-in ribbon anymore. So I just googled for the excel add-in ribbon and reached this site. Just download the In2Hyp_Essbase_Ribbon. Extract the contents to a folder. Browse to the extracted folder and thats it…you are done. 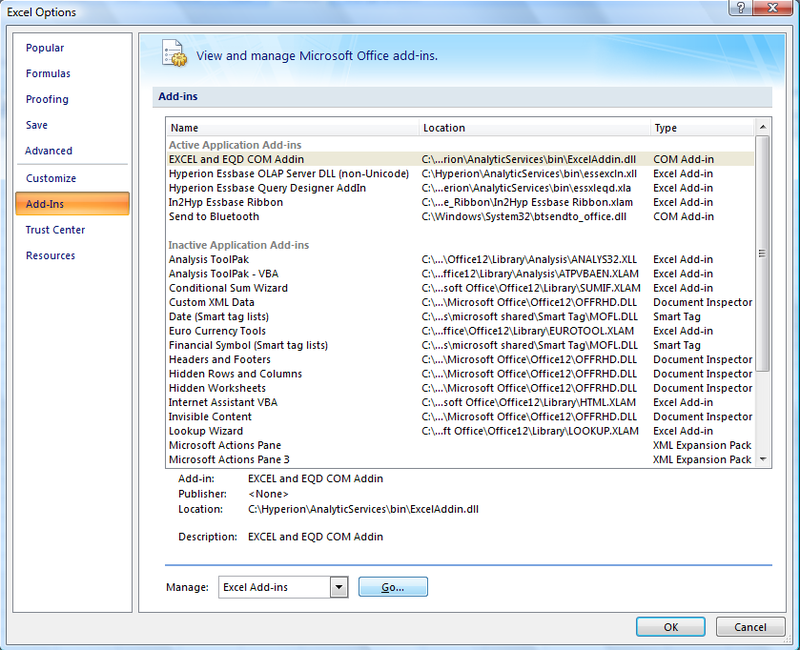 Then the one I liked was Excel Mouse button and Essbase mouse button. A good to have one…..
Vijay, you’ll have to download EXCEL add-in for that.